A Photo-exhibition at Det Hemmelige Galleri, Herning, Denmark. The project started in 2010 during the artfestival (Vadehavsfestivalen) in the beautiful landscape of Fanoe and later in various areas we visited or where we each live. Check out the website. The pictures show a staging, where we add something unnatural to nature, which shifts the focus and gives an extra dimension to the picture. Usually we used materials such as fabrics, knitwear or plastic. 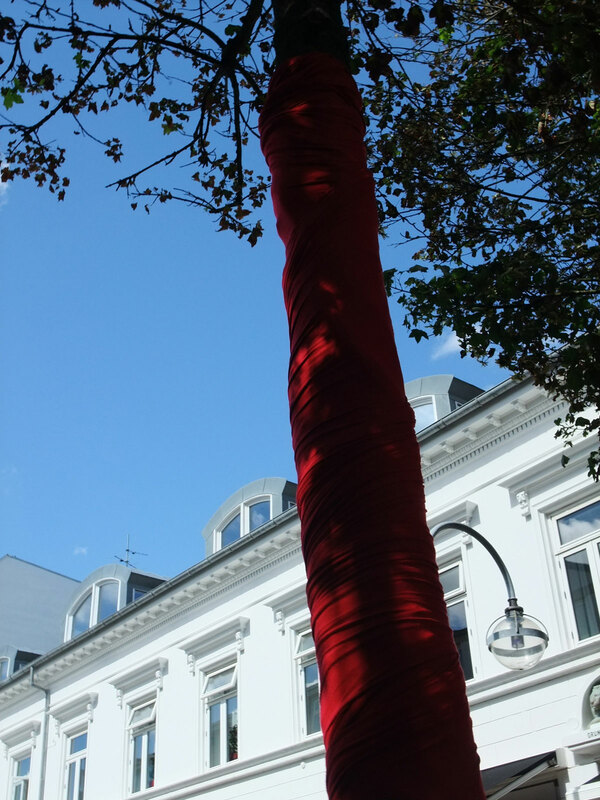 At the vernissage, we decorated the trees in the pedestrian street ..although we often used places of more raw character for the photos to illustrate the contrasts.